BONUS !!! 2 FREE STORAGE DRAWERS !!! Expand your child’s bed space with the quality craftsmanship and fresh contemporary style. Featuring classic details and a handy step ladder, this bunkbed meets all of your child’s needs for adventure and playfullness, while still meeting yours for safety, quality and durability. 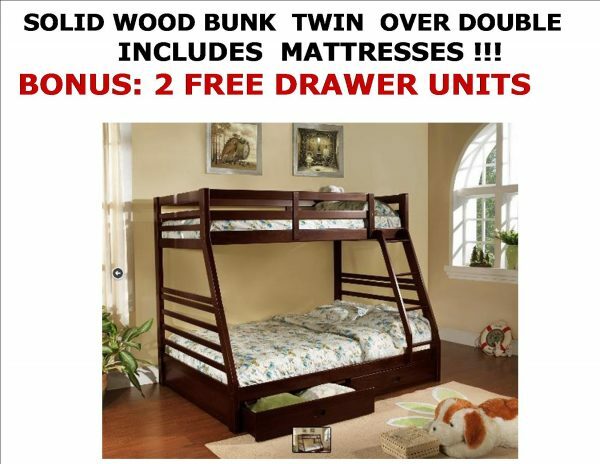 A pair of drawers under the bunkbed helps to maximize storage space. Ladder features opening at the top, complying with safety standards. Finished in a Dark Espresso or Honey.